Leonard was amazing. Highly responsive, knowledgeable and made sure we had what we needed to get our fridge running again. Highly recommend!!! We also provide appliance repairs for San Tan Valley, Queen Creek, Gilbert, Chandler, Mesa, and Apache Junction. 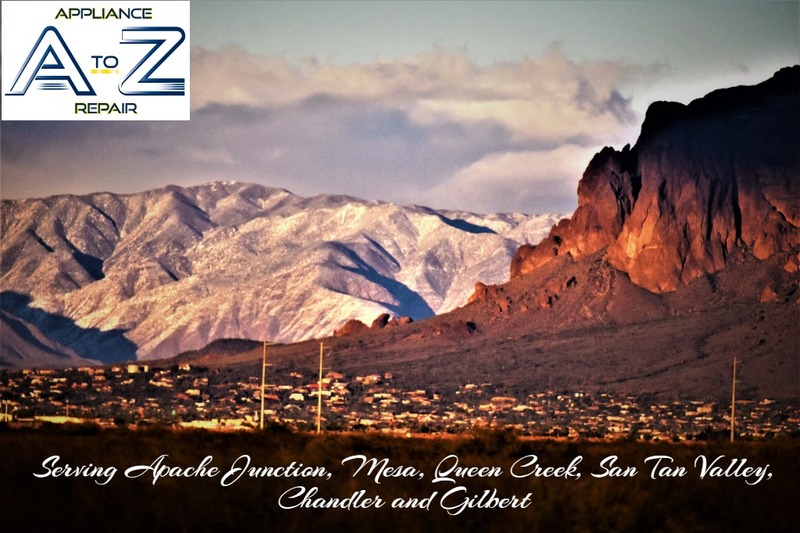 Appliance Repair in Queen Creek, and San Tan Valley, AZ. Leonard was awesome came in knew right away what the problem was and fixed on the spot. I highly recommend using his service. Leonard was awesome. Patient, kind and on time. What an awesome experience!! Very good service, knows what he is doing. Very clean. My LG washer had been making a terrible noise for a couple of weeks but it was still working on heavy load setting. All of a sudden, it stopped agitating at all and was still making the noise. I went online and tried to diagnose it myself and called LG to discuss possible warranty repairs. They wanted $350 just to send a technician out before they even looked at it to determine what the problem was. They found the broken parts quickly and had parts on hand to address the issue. Timely and professional response. The dryer has since ran great with quick drying times. The price was fair considering the parts needed to get it up and running. Also, the service tech inspected the other components and found the system running otherwise. Leonard fixed my problem over the phone. 10 second fix that was very much appreciated. I've used Leonard on other repairs I've needed and he has always done a great job at a fair price. This one he fixed for free by sharing his knowledge over the phone, I will be sure to call him for any repairs around the house. Honest man, I hope others who read this may give A to Z their business. My garage fridge was not cooling down properly. Leonard gave me a time frame of 10a-12p to come out. He arrived a few mins past 10, very friendly and professional. He spent a few mins checking out the fridge and give me the bad news that the fridge would need a lot of work to get running properly again. I decided to forgo the repair and buy a new one which he agreed was the best option. Since he couldn't do the repair, he did not charge for the service call, and told me to keep his number and would honor the Angies list deal later down the road. Little things like this will keep me as a return customer. I had a friend use him as well a while back and recomended A-Z to me. While no repair was made for me, the time he spent is certainly worth something but he wants a repeat customer which he has now. Fantastic - would hire again in a heartbeat.